There’s an impressive 250 years (and counting) of history in the Royal Botanic Gardens at Kew, but they’re also paving the way for the future with not one, but two national bases for research into botanical studies. 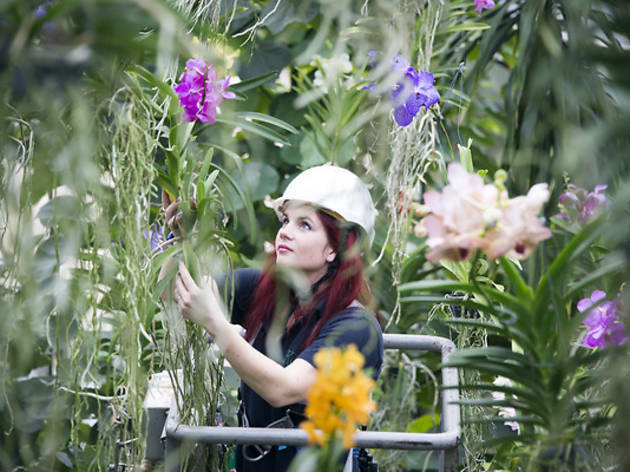 While you’re strolling through the Victorian Palm House or seeking out the luscious flora (including the giant, stinking Titan Arum in the Princess of Wales Conservatory), scientists are working away in offices and laboratories behind the scenes. Nowadays the Gardens stand at a whopping 300 acres, but they started out a little more humbly in the back yard of what was once the royal palace – favoured most by George III. There’s loads to see here, whether you like green stuff or not. 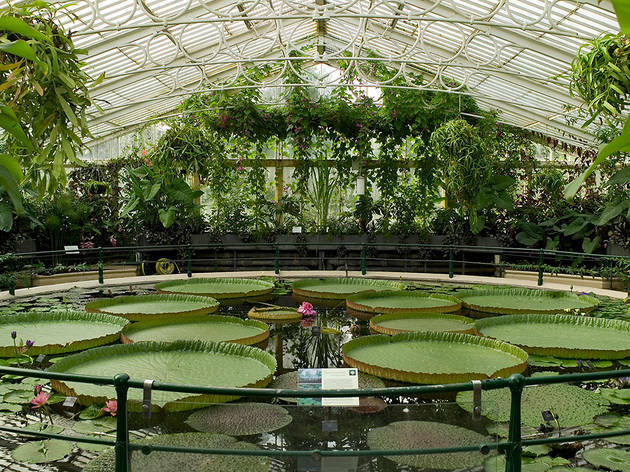 The grand Victorian glasshouses remain a favourite with visitors, one of which (Temperate House) holds the record for the largest surviving Victorian glasshouse. Plus it’s just about to reopen (at the beginning of May 2018) following a five year makeover. And if you want to explore elsewhere? Why not take a trip to the Tree Top Walkway? At 18 metres high, this trek through the leaves offers fab views of the grounds. Once you’ve come back to earth, stroll down to the Chinese Pagoda, which was built in 1762 and towers over the southern end of the Gardens. 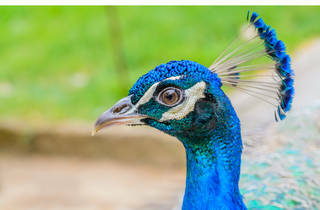 Given the exceptional upkeep and wide variety of fauna, you’re sure to be inspired. And if the plants aren’t doing the trick, try seeking out the sculptures, which feature Henry Moore’s ‘Reclining Mother and Child’ in a stunning setting that changes with the light of each season. In fact, the art alone could take up your entire visit – see the Eduardo Paolozzi sculpture ‘A Maximis Ad Minima’ and visit the Marianne North Gallery and the Shirley Sherwood Gallery of Botanical Art, all included in the main entry price. Whenever you visit Kew Gardens, there’s something in bloom. The website has a dedicated ‘what to see this week’ section, so even in autumn or winter, you can be assured you won’t just see a lot of old twigs. £15, £14 concs, £3.50 ages 4-16, under-fours free, £19-£34 family. Online: £14, £13, £2.50, £18-£32. Kew Gardens is a lovely escape and breath of fresh air from all the hustle and bustle in London. Within its huge perimeter you can get lost in Kew Gardens for the whole day exploring it's green houses and having a picnic in the sun. I took my mum here for Mothers Day and she absolutely loved it! The tickets seem quite expensive but it's worth spending the whole day there and strolling around at your own leisure taking in the best of London's landscapes and nature. Went here to see the Christmas lights but foolishly didn't realize they were only on at night, as of 17:00. Nevertheless a completely worth it trip, especially on a sunny winter day and we still got to enjoy the lovely Christmas decorations. The tree top walk was my favorite part and I really appreciated that it had a lift, which means people with disabilities are also able to enjoy the amazing view you get from the top. It's also worth it checking out the Shirley Sherwood Gallery of Botanical Arts, where there's a lovely piece called Life in Death by Rebecca Louise Law on. Overall a wonderful escape from the busy city. I just love spending a whole afternoon here, making the trip here worth it. Even just gazing far from the Palm House into the distance feels like it goes on forever and suddenly relaxes you. I also love visiting the Hive for the amazing structure and the concept, and the pergola; it's absolutely stunning when the roses bloom. Just having a picnic next to the roses behind the Palm House, smelling the herbs planted in the gardens, admiring various flowers everywhere.. makes you forget you live in a big city made of brick towers. One of my favourite places to visit for a brisk winter walk or on a beautiful summers day. I would recommend visiting the water lily greenhouses - they are stunning, along with the tree top walk. 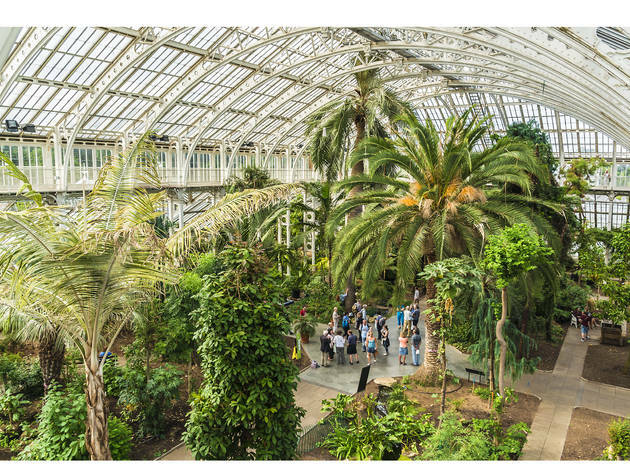 If you're looking for something chilled out to do on a nice day in summer, Kew Lates is ideal - there is food, beer and a variety of Kew-related activities. The food at the cafe is very good and reasonably-priced. The Hive is a great structure, albeit quite odd - especially when you have a wooden stick in your mouth trying to understand how bees communicate! The staff were great and very informative. I love Kew Gardens so much. Kew has so many spots that you can explore from its 360 treetop views to the edges over Syon House across the river. We ate at the new restaurant overlooking the water but it would such a lovely place for a summer day picnic or a family day out. If you get a chance, check out the Hive Installation which is lovely. Escape the city life and zone out for a few hours, worth every penny. Beuatiful gardens in London! Who would believe it! Fresh flowers, beautiful architecture and now an area called hive, where else one can take awesome instagrammable pics! Go at Christmas and see the pretty lights! A breath of fresh air in the city. Spend a day getting lost in the themed gardens. Walk among the tree tops and pack a picnic in the summer months to enjoy by the lake. Beautiful place, you hardly feel like you are in London, except hearing the landing planes very few minutes. I absolutely loved the gardens, a lot of colours and so many different plants. You can really get lost there and it doesn't feel crowded st all, compared to a lot of other London attractions. When we visited, many attractions were closed, and it would be really useful to know this in advance. I somehow managed to make it to 22 years old before visiting Kew Gardens for the first time, just recently when The Royal Botanical Gardens kindly hosted a Lates event with us lucky Timeout Tastemakers on the guestlist, otherwise I’m not sure when I would have got around to visiting. Located way out of central, in Richmond, it’s the wrong area for me which is probably how I’ve managed to avoid it for so long – I ended up driving there, road parking was very restricted to permit holders only, however I managed to park for free for up to 4 hours in the nearby outlet centre which was about a 15 minute walk away. To keep things under control we were restricted access to visit The Hive installation and The Orangery and connecting pathways, understandably so as they could have us let loose at night roaming all 326 acres, now could they! They had just the right amount of people for the space occupied, not to busy it made for a wonderful event. We began by admiring the wonder that is The Hive (also reviewed separately – would very much recommend) which is a stunning piece of artistic architecture designed to emulate a beehive, whilst up close you can even hear a soft soothing hum and see the lights that glow reacting to a real beehive the structure is paired with. It made me feel very relaxed and at one with the natural surroundings, a far cry from the everyday stresses, hustle and bustle of daily London life. After we were all buzzed out, we headed over to the glorious looking Orangery building - which I’ve later found out can be booked as a wedding venue which totally makes sense - where much to our surprise we were met by live music and plenty of activities being hosted for us to get stuck into including live drawing, beeswax candle making, honey tasting and garden decoration making. All staff were friendly and welcoming, which made for a fabulous atmosphere where we had a lovely evening getting our arts and crafts on. Kew is a glorious, ever-changing day out. Whether you go at Christmas for the lights (recommended), or in Spring for the orchids (also recommended), there is always something special to take in. There are lots of things to keep the whole family entertained, so you should set aside plenty of time: it's easily a full day. The Hive is a must see, obviously, but don't miss out on the monuments, seasonal plants, and wonderful art galleries too. 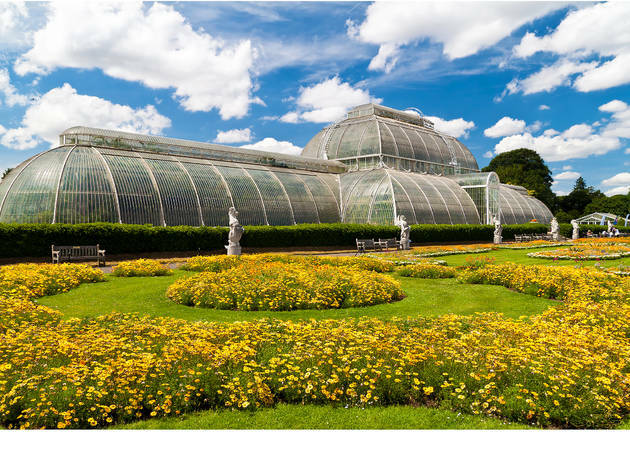 Kew is well worth the visit: it's London without the London, and gives you the opportunity to spend time in spectacular green-space. Every Londoner should make the pilgrimage there at least once. These are easily the most beautiful gardens in London, hard to believe it is in the centre of such a bustling city. Such a vast area, there is something for everyone. Take a picnic and enjoy eating in the great outdoors, or explore the many children's play areas and little hideaways. Whatever you do, make sure you visit the treetop walkway for the most stunning views. The netted bridges add an extra bit of excitement as it feels like a long way down! The Hive is fantastic too. Awesome and interesting. Kids will love pretending to be bees and buzzing around! Definitely worth a visit if you are anywhere in the vicinity on a warm summer's day. Who doesn't love Kew Gardens? It is like stepping out of London into a secret paradise. I've always loved escaping to Kew, wandering around the gardens, discovering new plants that are grown there... it is wonderful. The treetop gallery is a fantastic way to see what Kew is all about, being 18 metres above the woodland floor. You get breathtaking views and thanks to the way it is positioned you really do feel like you're walking in the trees. It's almost like being in Tarzan! And, of course, you can't forget the palm house with all manors of exciting species of plants and trees - you can almost get lost wandering around and exploring. A great day out, and a fantastic place to avoid the hustle and bustle of the city. My best pal and I took a picnic to Kew Gardens over the Bank Holiday weekend and had a wonderful afternoon in the sun, soaking up the quiet (interrupted briefly by the odd plane flying over head - damn you Heathrow!) and enjoying the perfectly kept gardens. It's a shame that the pagoda is currently under scaffolding but there is still plenty to see and do without that. The high walk is pretty incredible - the views it gives is awesome, but if you're scared of heights to make sure you don't look down on the mesh floor, it's a LOOOONG way down! I have so much love for kew gardens, I remember the first time i came here as a kid and my hair frizzed up as soon as i went into one of the rainforests, but the abundance of exotic flowers, plants, foliage is immense. They had "The Hive" feature on and let me tell you, it was bloody beautiful!!!! It comes alive at night though once the lights are all switched on, its a visual and sound experience, sounds of the bees, not something I have seen or experienced before, it was magical! I love the Japanese landscape, its like being in Kyoto, so calm and tranquil, almost like the garden of peace. Can easily spend a whole day here, its not cheap, but highly recommend! Great for kids too! This is a fantastic place to go for a picnic or just to get away from the hustle and bustle of the city. We spent the day walking around the gardens, going to the greenhouse and then playing board games in the grass. It was absolutely beautiful and though there were a lot of people queued up to go in, once you passed the gates the park felt peaceful and isolated. Highly recommend going to the greenhouse, though you will break a sweat if you climb to the top! Hot air rises, and the top of the greenhouses are a SWELTERING but a fun experience. I still cannot believe that Kew Gardens actually are in London! As soon as you walk in it feels like stepping in a different (and greener) world. Some old gems not to be missed like the Palm House (huge glasshouse close to the main entrance) and some brilliant modern additions like the tree top walk or the infamous Hive. Despite the £15 entry cost I strongly recommend visiting Kew Gardens! I visited Kew as part of The Hive lates and I’d highly recommend it. A chance to see Kew without the crowds, take part in some fun bee related activities and best of all see the hive at night. While the hive is impressive during the day, it is truly spectacular at night, lights burning against the darkened sky and the hum of the hive even more present than during the day. We learned all about bees, tried different types honey, made candles and got some bee themed tattoos. Also on offer are crafts and life drawing, all while enjoying the live music on offer. A great escape from the hustle and bustle of london life. Leaving from central London on the District Line, after 50 minutes circa you'll re-emerge in an area which does not look like London at all, this is Kew. 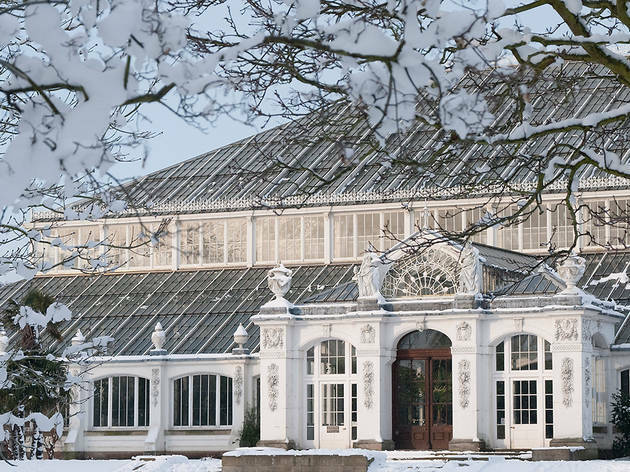 In this beautiful district, just 10 min by bus from the tube, you'll find Kew Gardens. 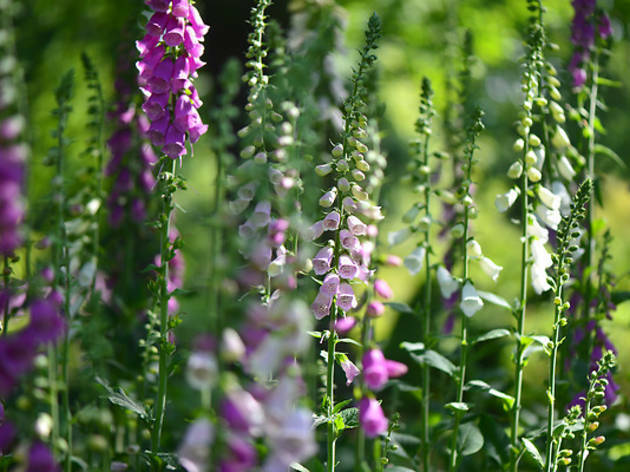 These gardens are the perfect place should you feel like escaping from hectic London as it is a huge green space where you'll get lost wandering around incredible and colorful species of flowers and plants. I went to Kew Garden for one of its "after-hours" sessions and I was amazed by it, by its orangerie, its flowers and the Hive, a wonderful installation dedicated to lives of bees. If you're lucky you'll find an expert explaining to a small group what's it all about and if you're into pictures just wait until dusk as the Hive is illuminated by tons of led lights resembling and actual hive and creating a wonderful visual effect. Take a "walk on the green side" and give Kew Gardens a go, you won't be disappointed! Armed with the map of Kew, myself and my 12 year old set off to explore the 300 acres of stunning gardens. It reminded me of a theme park for nature lovers as opposed to thrill seekers, I’ve definitely become more of the latter over the years! We picked out specific attractions that we wanted to see. As the gardens are so big I would recommend you plan your route beforehand so as not to miss anything unless you have arrived early and have time to see it all. Some of our favourite attractions were The Hive, The Princess of Wales conservatory and the tranquillity of the rock pools and waterfalls surrounding Davis Alpine house. I usually avoid the eating areas when I visit museums and parks because of the crowds and inflated prices so it was nice to see a Tesco outside the station to pick up supplies as there is loads of space to sit and have a picnic on a sunny day. Considering my son was reluctant to join me on a trip to Kew he really enjoyed himself. We definitely want to go back and see the parts we missed especially the creepers and climbers and treetop walkway. 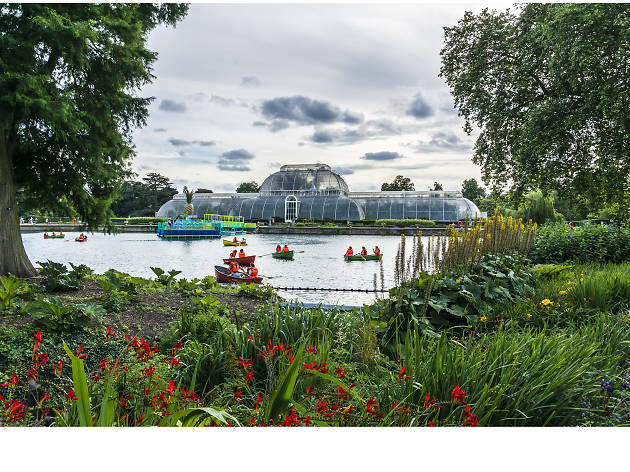 You don't really need a reason to visit Kew Gardens as the beautiful attraction speaks for itself and is a great day out for all nature lovers. 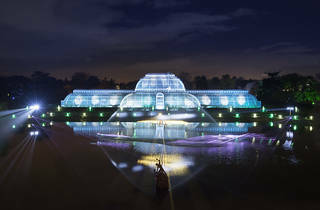 However, recently I went to Kew Lates, and this was even more stunning! You have the opportunity to visit the Hive after hours when all the lights are on and it's truly breathtaking. You can stand inside and feel so at peace as the lights flicker and the music plays! I highly recommend this for everyone from adults to kids as there is something for everyone and it's also very educational. Inside the Orangery, you have the opportunity to do some honey tasting, candle making, live drawing and even have a temporary tatoo done! The food is also delicious, we had some lovely cakes and coffee! Definately worth a visit and don't forget your cameras! The Kew After Hours: The Hive is a must visit as you get to experience the Hive in a new perspective. 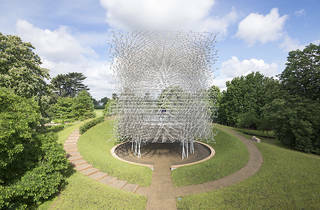 The Hive which stands 32 layers high and is made out of aluminum was created by British artist Wolfgang Buttress. This stunning structure weighs 40 tonnes and highlights the activity of bees (in a beehive located right behind the scenes at Kew) by the light and sound - when the activity increases the lights and sound are more active. I found the structure very fascinating although beautiful in the evening the Hive really comes to its true beauty in the night. After wandering and learning about the Hive, I would recommend heading into the stunning conservatory/greenhouse building named the Orangery, which has a lot of activities to keep you occupied. From arts and crafts, honey tasting, bee tattoos to live sketching models. There is a lot happening to draw your evening to a close. You can also buy drinks from here and take home a souvenir to remind you of your visit to the Hive, at Kew Gardens. 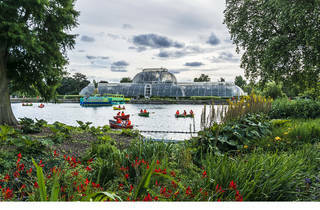 At a 45 minutes trip distance from the city centre, the Kew Gardens are the perfect spot to escape from the busy smoggy London during the summer months. 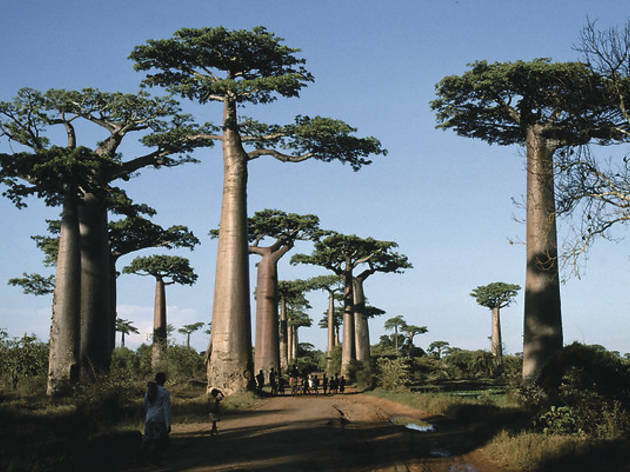 This botanical Gardens host an incredibly wide variety of trees and plants. Even if botanic is not your greatest passion, you'll be amazed by the glass houses and conservatories, that recreate some of the wildest microclimates around the world. The park itself is huge and there is plenty of things to see and activities to do, especially for the children. 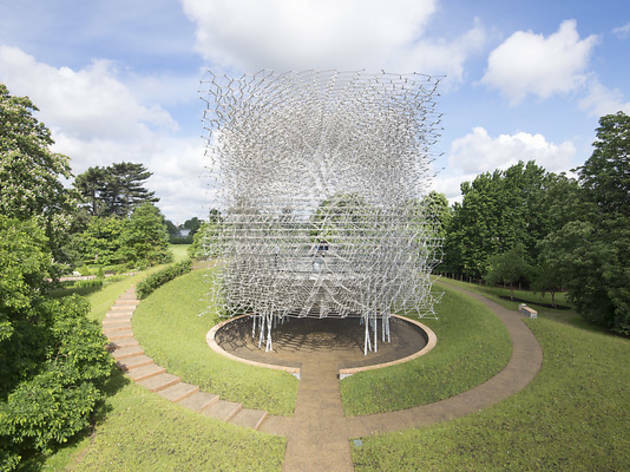 The Hive, the pavilion designed for Expo 2015 and moved just after that to the Kew, is impressive, more stunning in its new location than in between all the other funny shaped installations in Milan. The various cafés and restaurants spread throughout the park are, as foreseeable, pretty disappointing, with too high prices compared to the low quality food. The best you can do is take a blanket with you, grab a sandwich or a pastry out of the tube station (the surrounding area is lovely!) and set up a picnic on the lawn of the park!! I had a wonderful evening at Kew After Hours. As the event started at 1900, access to the garden was limited to the Orangery and the Hive only. Despite this, there were plenty of activities to keep people occupied. There was lifedrawing, honey tasting, crafts making, temporary tattooing in the Orangery. The Hive lit up when the sun set making the atmosphere quite romantic. Without a doubt I would thoroughly recommend the event! Located close to Richmond, Kew Gardens is easy to access via the district line. With that said, Kew is enormous and you should dedicate one whole day or two half days to explore this magical place. There is so much on offer! The Palm House is a feast for the eyes for both the architecture and the exotic South American plants. Other glass houses are scattered across the gardens, housing other plant varieties. The hive, an art installation intended to highlight the importance of bees, is impressive. There are so many different garden themes to discover at Kew. If you need a quick break to rest your feet, there are a few restaurants/coffee shops around the gardens. Relaxing on the beautiful lawns for a casual picnic would also be a well spent day there. I'm definitely going back to explore the rest of the Gardens! London crowds getting to you? Want to see some trees and rolling green grass? 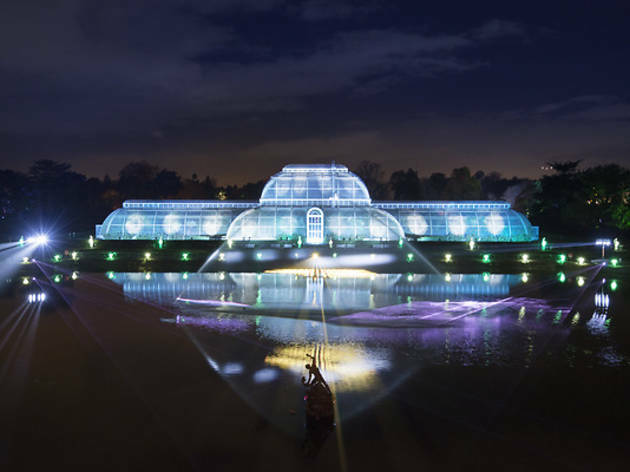 Well you need to head to Kew and if you are a night owl like me head to Kew Lates for the best of both worlds thanks to these fantastic long summer evenings! The night I went there were two spaces open to explore – the famous Kew Hive and the Orangery. The Orangery was full to the brim with bee related things to do. From seeing real bees working on a bee hive to sampling different types of honey and learning about how different pollen affects the honey production to making garden ornaments, seed bombs and bees wax candles. My favourite was definitely the bee related temporary tattoo stall where my friend and I adored ourselves with wearable bees. Next it was off to the hive where we met a lovely Kew staff member talking about bumble bees. It was really interesting looking at her bee specimen – so so soft and the wings were just amazing to see up close. She also had honeycomb samples and explained the differences between the colour. 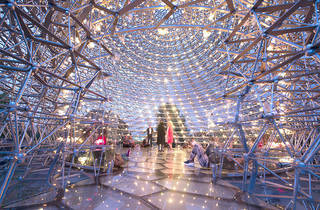 The Hive structure itself is a fantastic piece of interactive art. The entire structure is covered with lights and these are linked to an actual hive, so when there is a lot of activity in the hive the lights light up. This coupled with the low hum sound is just magical to experience. I sat on the floor taking it all in and I would recommend you do the same, so lovely to just sit and embrace it. I definitely felt a lot more relaxed after my Kew Lates experience and I would highly recommend it! I've recently visited this "garden of wonders" for the first time while attending to the latest Kew Gardens Late. It was a great experience! Me and my partner arrived in a hurry and a bit stressed, but as we walked in it didn't take long for us to calm down thanks for the amazing atmosphere of the place. It was the perfect programme after a long workday to unwind and forget the everyday worries. Kew Garden after hours sounds like the scene from Notting Hill when Julia Roberts breaks into an urban London garden and a bumbling Hugh Grant clumsily follows, but in reality, an evening at Kew Gardens is a very sophisticated and formal affair. With the majority of the garden closed off, entry is only permitted through the Elizabeth Gate so you do need to walk past almost the entire outer perimeter to enter, but once inside, the experience is truly remarkable. Following the path up towards to the orangery, an array of fresh salads, hot dishes, cakes and drinks are available – thankfully card is accepted – so we bought our food, a bottle of wine to share and headed out to the garden to sit and enjoy the view whilst a string quartet put everyone at ease. Not only was there food and drink at the Orangery but visitors were encouraged to participate in some life drawing and there were stalls selling and sampling honey made at Kew and even a workshop in beeswax candle making, so woe betide you if you think this is a lot of money to just a walk around a garden! The main event though, the Hive. This place is incredible, I’m a fan of bees and all things honey but this sculpture brings to life the workings of a Hive in a multi-sensory, interactive sculpture. Sing, stand or even lie down inside the Hive and you can hear, see and experience bees like never before. From putting a stick in your mouth, covering your ears and putting it in a whole to hear the bees move, to learning about the different kinds of pollen and the perfect bee habit, there is certainly enough to keep you Buzzzzzzy. If you like plants then I'm sure I don't need to tell you that this is the place for you. 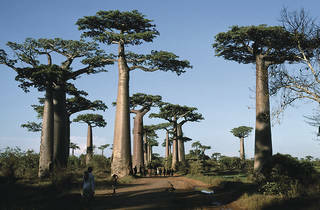 A stunning site to stroll around with its vast open spaces, amazing plants, trees and foliages. Fascinatinggreenhouses filled with interesting species of fauna and flora that I'd never seen before and when you get peckish they do lovely cakes and classic cream teas. Obviously this place excels in the warmer months but it's beautiful in different ways throughout the entire year. I enjoyed the recent Kew Gardens Kate's which focussed primarily on their temporary Hive art installation. It's a really clever piece and definitely worth seeing. Id assume it's better to see at a late event as this installation lights up and so is stunning after dark. 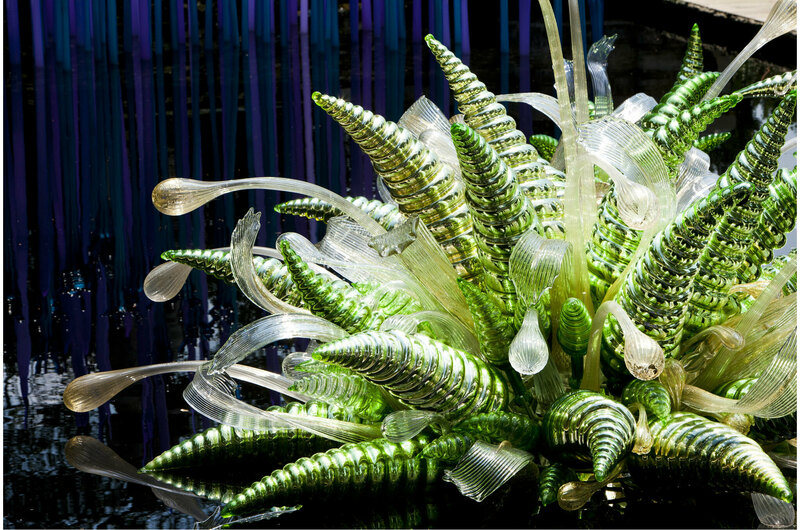 I believe it will be featured at Kew until November 2017 so you still have time. When the weather is nice, this stunning place comes to life. Ideal for leisurely strolls, species exploration or an afternoon tea by the lake, I couldn't recommend it more. My favourite bit was the treetop walkway, it's amazing to be at one with the green crowns of the trees, take in the very view they have, sway side to side at each gust of the wind and with every step you take. 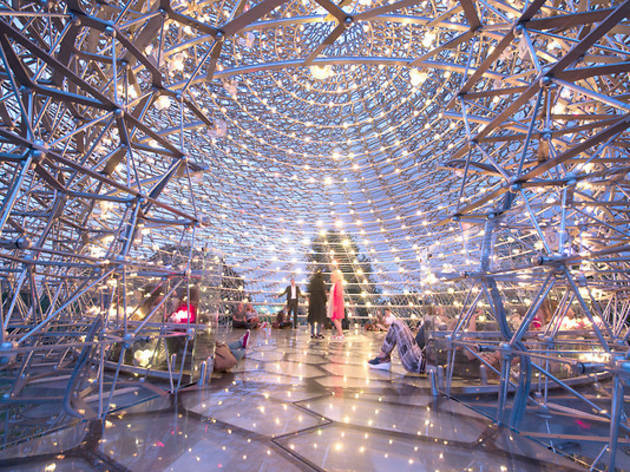 The Hive is magical too, worth seeing at dusk or during one of the Kew Garden Lates! Their Facebook page says that until 3rd Sept they have a daily VR experience called View from a Giant Redwood, it's included in the ticket price and sounds lovely, make sure to try it out, if interested. Being an ignorant American, I knew almost nothing of Kew Gardens as I headed toward it. When we arrived the sun was shinning and the flowers were in full bloom. Between the greenhouses, the sculptures, and the performances, there were so many things to do at Kew Gardens I almost forgot to sit down on the grass and just enjoy the sunny nature. The Hive was definitely the highlight of my trip. Complete with an orchestral soundtrack, wild bees buzzing, and information on how to help the bee population, the giant geometric sculpture offered a surreal experience. Living in Zone 4, east central line, I must say I was not keen on the idea of schlepping all the way across the city for an hour and a half just to get to see "some flowers". I am so glad I proved myself wrong, the District line tube transported me to another world - out of the humdrum grey to some place that assaulted all of my senses. Kew gardens is an absolutely beautiful, peaceful place and if it wasn't for the planes flying overhead you would forget that you were in the capital. The queue at the gates was very misleading, it makes you think that this place is going to be another crazy busy tourist attraction, but once you get in, you feel like you are in your own world - with only the occasional person enjoying the same scene as you. It is just so pretty there, everywhere you look there is something beautiful and interesting. The Princess of Wales conservatory was by far my favourite place to be, walking through the different temperate zones and looking at all the wonderful plants was breathtaking. The lily pads were like something out of a sci-fi movie and I wish we'd come a week later to see (and smell) the corpse flower, which is apparently due to bloom in the next week! The hive installation was incredible, and looked right at home, tucked amongst the meadows of wildflowers. If you are looking for somewhere peaceful and quiet to go and contemplate on your own- go here. If you are looking for a family trip out, where there is something for everyone - go here. You will not be disappointed, and I for one can't wait to get a membership there so I can take the pilgrimage across London whenever I like! When arriving to the station, you will be greeted by a bunch of quaint looking little shops and cafes and will straight feel like you are in the prettiest village in the UK – apart maybe from the fact that the street going from said quaint shops to the gardens is lined with 20 billion pound houses. The green house close to main entrance is probably the most impressive feature of the gardens to me. It is filled with plants from all over the world, some of them 3 storeys high. The temperature and humidity were UNBEARABLE though. At first, you walk in and think it’s quite hot. Then, you walk up the stairs to the mezzanine type platform going all around the house… And know what it would feel like to be steamed. Then we moved on to the cactus house, that’s also the giant waterlily and fishy / turtly / froggy house. The Hive was not as impressive as I thought it would be. Actually, from the outside, it was pretty ugly looking. I would recommend going to Gardens at some point in your life but wouldn’t feel rushed to go now just because the Hive is on. As it turns out, you can book a whole part of the park for your WEDDING, which we found out by walking in on said wedding. Now, this viewing point platform was the scariest thing of my life. 5 huge pillars holding a passageway at what feels like 100 miles up in the sky. It moves SO BLOODY much, I thought I was going to have a heart attack. I would recommend planning a whole day to do it all because it is absolutely enormous and filled with tons of beautiful different features. Just bring a sandwich, have a picnic and relax. The food you can buy inside the park might be good but it is also terribly expensive. Talking prices, the tickets are quite expensive but, as a one off, it is totally worth it. After your visit, be aware that Richmond is at a 10-15 mins walking distance, which is great if you want some more scenic views to finish off. 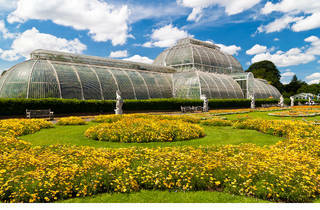 If you know London is going to be a bright sunny day then make your way to Kew Gardens. 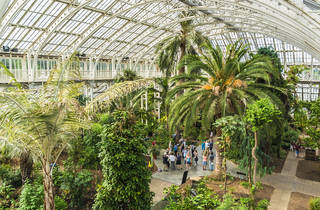 Make the most of the outdoors by walking through well kept glass houses full of extoci plants, feel as though you have gone abroad by visiting the palm house and take a stroll through the trees by walking on Kew Gardens tree top walkway. The perfect weekend with friends or family relaxing in the gardens. I loved my time at Kew Garden and would happily go back as it is bigger than I thought, stretching over 270 arces. Make sure you take sunscreen, sunnies and good walking shoes as time will fly by before you know it and your body will thank you. I'm looking forward to my next trip to Kew Gardens. Kew Gardens is paradise. 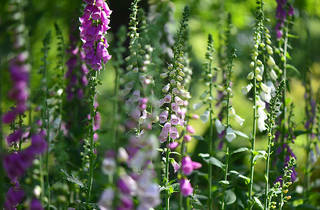 Especially for someone with children or interested in flowers or plants in general. But even if that’s not your case, a day there can still be really special. It’s pricey, but go early and spend the day: it’s worth every penny. (But know that you’ll probably want to come back a few times. It’s not possible to see everything in one visit, and seeing the park in different seasons is a different experience anyway. And for people who don’t want to walk the big park aimlessly, there are walk tours (free) and a hop-on, hop-off ‘train’ to make the distances smaller (paid). The glasshouses are magical, with every kind of plants that you can imagine (and many more that you’d never! ), from all around the world. The little texts explaining, contextualizing or just telling stories are super interesting without being too much: the main things there are definitely the plants. There are also some outdoor attractions, from a treetop walkway (18m high, where you can the threes from the top) to the Hive (a gigantic hive where you can ‘see’ the life of bees). The last time I went I focused on the ‘Kitchen Garden’; truly delightful to see our food in it’s first occurrence. I imagine if kids saw these more often they’d be more curious about trying vegetables and fruits! Obviously, Kew Gardens is best enjoyed in a good weather day (it does close sometimes if it’s too bad), but seriously, it’s unmissable! I have been living in London for 3 years but I couldn't be bothered to go west to visit these gardens, until I finally did it last Saturday. Me and my husband arrived around 2 and decided to join a free guided tour, despite the guide being so nice we opted out at one point because we were not enjoying it too much. IMHO She was describing with too many details the history of the place and the characters that had something to do with it instead of talking more about the special features, plants and flowers of the park. I enjoyed a lot when she described us the desertic plants and how they get water in order to survive. We then started to stroll around by ourselves, reading the information spread around the park, we learnt how to recognize families of trees and where some of the famous plants we see in garden centres come from. Despite being a busy day, the park is so big that it's easy to find a spot where reading and relaxing for a while. Related to it, I suggest to start the visit from the less known areas, such as the Arboretum or the far end of the park for example and leave for the end of the day the busy greenhouse and the Hive. I just saw the Hive from the outside because I had the pleasure to visit it at the Expo 2015 in Milan. I have to admit that in Milan it was better placed, they created an amazing path between bushes and flowers and made it even bigger by using many mirrors. Here the path is quite small and overcrowded. I recommend it to everyone visiting London and I will certainly visit it again in fall. I adore Kew Gardens! The gardens are just so vast and full of unique areas such as the Hive and the Princess of Wales Conservatory. At the Hive, there was a guide explaining the fascinating life of bees and the structure itself was beautiful inside, a genuine experience and there were free roaming iguanas in the Princess of Wales Conservatory tropical area! I will return for another visit, especially as it is so big and a few key areas such as Temperate House and the Pagoda were closed for restoration. Amazing play areas for kids also and because it’s a ticketed garden, you never feel crowded. I had a relaxed Saturday afternoon there! I went last weekend for the first time thanks to Timeout and I think I had to high expectations for this visit. I loved the Hive; it is a truly extraordinary experience to stand just in the middle and look up at the complex construction. I also enjoyed a walk trough the kitchen gardens as I love cooking myself. The Treetop walkway is also interesting but sadly too packed on Saturday afternoon to be able to enjoy the full experience. I was quite disappointed as many attractions like the Pagoda were closed or under refurbishment which I know has to happen from time to time. We came pretty hungry and were looking forward to having a nice meal which sadly did not happened. There were almost no vegetarian/vegan options so we ended up eating in a pub next to the station. All in all 4 stars - nice experience, I would recommend to plan your lunch somewhere else though. I was lucky enough to visit the science labs and also the nursery of the Kew Gardens. This gave a very eye opening view of the garden. In fact, my group had the privilege of learning about small molecules and got a chance to look for some. This was all part of the Science Festival and I highly encourage it for any families as there are activities for all ages. Kew Gardens contains the most number of flora in the world and it is definitely worth the entrance fee (which goes to supporting the work that is done to save endangered species). I visited twice in 2 weeks and can't wait to go back! 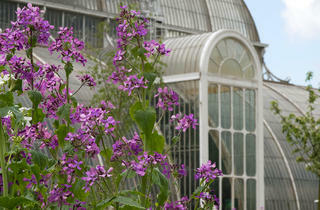 Kew is a green haven which allows you to escape from the smoke in the Big Smoke! Once you step through the gates, you forget you are in London. I visited Kew over the weekend for the first time after 25 years. There are several new installations such as The Hive and Treetop Walkway which are pretty cool but my favourite as a child was Palm House and it still is. The grounds are immense and there are lots of quiet areas if you wanted time to yourself to enjoy the greenery and some picture perfect spots for picnics. A London gem! On a sunny Saturday morning, I ventured across the city, far west, to discover the land of green and beauty. Even on such a busy summers day the grounds and the several key attractions never felt crowded. The Palm House, a steamy conservatory full of exotic plants, the Treetop Walkway which allows you to explore up above, the Sackler Crossing, a beautiful bridge from where you can watch the pondering ducks and wildlife, The Hive a beautiful structure highlighting the importance of bees to our ecosystem and the Great Broad Walk Borders where you can find some of the most stunning flowers and arrangements in the whole of the grounds, are all not to be missed. The park is large so ensure you’re wearing your comfiest shoes and there is a train, The Kew Explorer, which offers guests the opportunity to travel around the gardens with a hop-off hop-on service, which was very handy as the day went on. Additionally, the drivers fill guests in on the history of the gardens as well as pointing out any fun facts, such as the famous tree in the grounds which was featured in Harry Potter Films. At £5 per adult and £2 per child I thought it was reasonable and worth it for the commentary and ease of navigating. Packing some snacks and drinks is a good idea as it’s easy to wander far from the cafes, as well as packing a picnic to enjoy in any of the beautiful gardens and avoid the cafe prices. Kew is now a must on my London hit list and I can’t quite believe it took me this long to visit. I'm promising myself a revisit when the Temperate House and Japanese Pagoda reopen next year but will try to squeeze a visit in during the winter as I'm told the landscape is vastly different. All in all, I highly recommend a visit to Kew, it’s friendly to all ages and groups of any size, you won’t regret a day spent exploring such beautiful grounds. What I like about Kew Gardens is that even on the busiest of days you can still find a quiet spot to picnic, read a book on a bench, or sit under a pagoda. And while the glasshouses and installations are breathtaking, it’s nice to just take a walk round the grounds taking in the flowers in bloom. That said, The Hive installation is definitely worth a visit, and if you’re feeling brave, a stroll round the treetop walk. It's the kind of place where you rediscover the pure, unadulterated joy of watching Coots dive to find morsels to feed their impossibly fluffy chicks. It's where you can climb a 200+ year old Oak tree before crossing paths with an confident peacock on your way to the zen Japanese Pagoda. You can experience the weakest of knees whilst traversing the Treetop Walkway canopy as it really-not-so-gently sways in the wind and then step foot into the most insta-worthy of conservatories in The Palm House, where you can test your tropical limits by ascending the spiral staircase up to the sweaty, humid heights. Hot air rises you know. 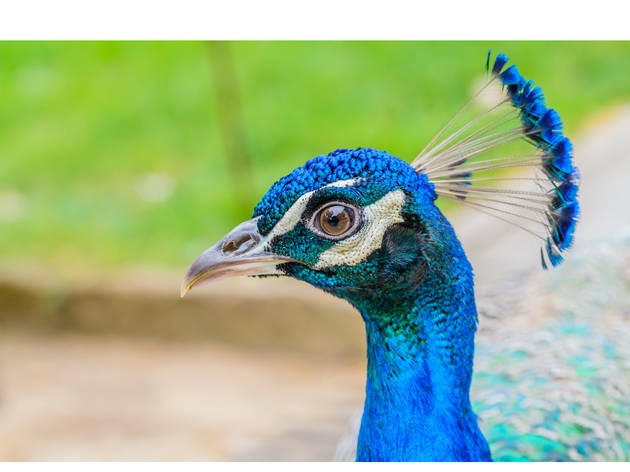 Unless you're prepared to don your comfiest shoes and spend every open hour at Kew then you are bound not to see it all - it is sprawling and you will be totally distracted every time you stumble on some lovely, natural happening such as the cute baby coots. I'd recommend packing water and food if you don't fancy being stung by the café's prices once you're in there but otherwise treat yourself to a day strolling around Kew - it might just be better than the massage you have in mind. Despite being a Londoner for a good view years now, I'd never previously made it out west to Kew. Having now made the trip I will be definitely be going back again! The great thing about going to Kew on a Saturday is that it is open late. I think last admission is 19:30 and they start closing things at 20:00/30. But this meant that arriving at 16:00, meant I had plenty of time to take in the gardens. Starting at Victoria Gate I visited the Palm House, which felt like you were absorbed into a truly tropical jungle, then wondered through the extensive and beautifully fragrant rose garden. I walked up the Great Board Walk to the newly installed Hive. Along the whole Board Walk the planting was beautiful and immaculate. I must say the Hive itself was a little disappointing, I think it would be truly mesmerizing at night, but it does a great job of drawing attention to the vital role bees play. I continued on a circular route taking in Kew Palace, the Azalea garden and rhododendron deli, before heading across the Sackler Crossing and up into the Rhizotron and Treetop walkway. The walkway is surprisingly high up, with a moving pathway at times, so I wouldn't climb up if you're afraid of heights. It's a great attraction though, walking high with the trees and being able to see right across the park. I had a great visit to Kew, I was a little disappointed the Temperate House was closed - perhaps they should advertise this online - but overall it's a truly amazing place and I'll be heading back soon. London's largest UNESCO World Heritage site offers unique landscapes, a variety of flora and iconic architecture. They have a vast collection plants from across the globe housed in glass houses to replicate their natural habitat. With a variety of walks and tours, outdoor performance, art exhibitions, you will be spoilt for choice. The hive was educational and served equally as an impressive piece of architecture/art. The conservatory was by far my favourite, as it offers so my variety, why not lose yourself in this magical plant kingdom and don't forget to look out for the beautiful lizard. Where should I begin with such a magnificent, lavish place like the Royal Botanic Gardens, Kew? Prepare to take a whole day to visit and explore the unexpected in such a beautiful, breathtaking Garden like Kew. I feel that people need to stop to take time to appreciate these small things that nature gives to us. Kew is truly a paradise of horticultural knowledge. If you haven't been to Kew yet, then you need to go. Be ready to leave all behind when entering. I felt completely infused and transfixed in so much natural beauty that surrounded me. I had nothing else in my mind. 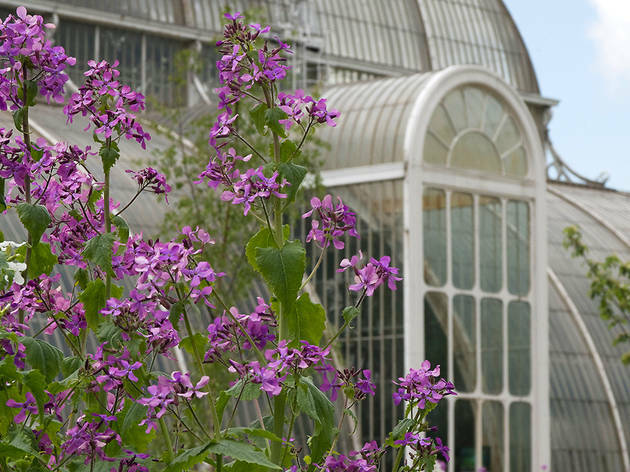 With over 2,000 species of plants and flowers and more than 100 mind-blowing attractions spread across this world of Kew, you'll find something to enjoy for sure. 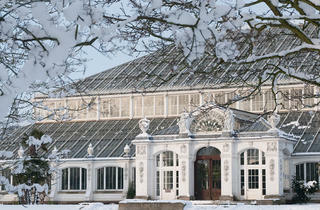 There is so much to do and to see at Kew Gardens. They have special events and exhibitions going on throughout the year, whatever the weather. Their thorough walks and tours is an incredible insight to horticultural science and history which relates to these exquisite species. The tour is included with entry to the Gardens, so that is an absolute bonus. Kew allows everyone of all ages to come together and investigate such an extraordinary, beautiful location to discover what lurks around us. 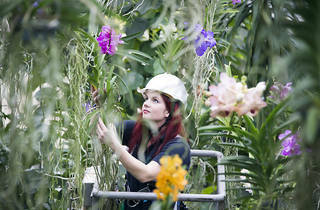 The workshops and activities at Kew is all an adventure to remember. You create, you learn, you share, and you explore in this magical world of purity. 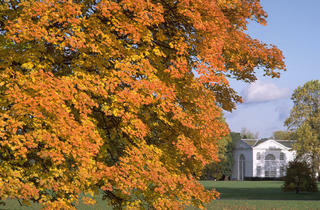 The iconic buildings such as the Kew Palace is divine and breathtaking on its own. Also the Pagoda and the Temperate House which are ones to see. When I went unfortunately it was closed for restoration. These are on my list for my next visit. 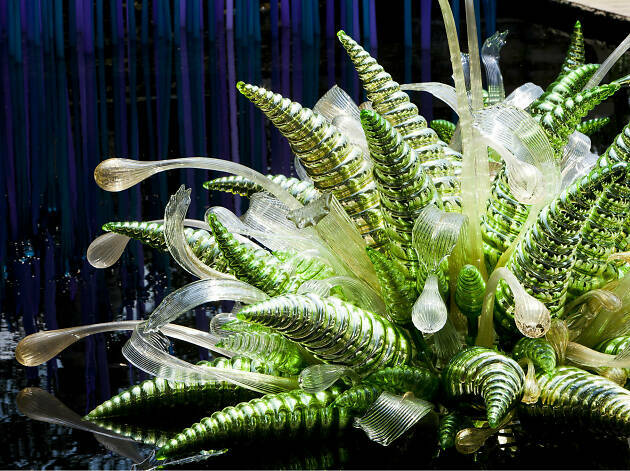 The glasshouses are incredible and the amount of art that encircles around Kew is truly inspirational. In every path and in every corner you'll find a treasure awaiting to bloom right beneath your eyes. The gardens are such a pretty sight, the Japanese Gateway really reflects the identity of Kyoto. Numerous attractions that blesses your day at Kew are the Treetop Walkway which I found to be a horrific experience. I don't think I've ever walked on something so wobbly in my life. It was a magnificent sight, but I really couldn't wait to come down. The Palm House with its humid, super hot interior. 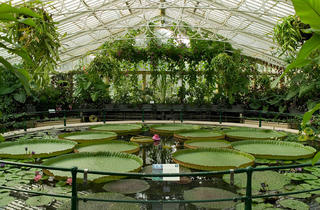 The Princess of Wales Conservatory, a serpentine glasshouse which contains ten zones of intense climates. You'll find a tremendous variety of plant life within the world of this Conservatory. Also let's not forget The Hive, another fantastic addition to Kew. Don't forget to enjoy the many restaurants, cafés, shops, and, souvenirs that Kew has to offer. Get your inner explorer ready to set foot and start this journey of a dream of natural creativity. 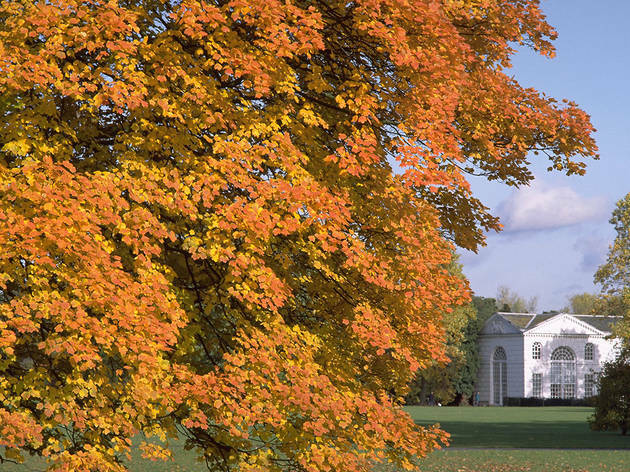 Have the best time of your life at Kew Gardens.